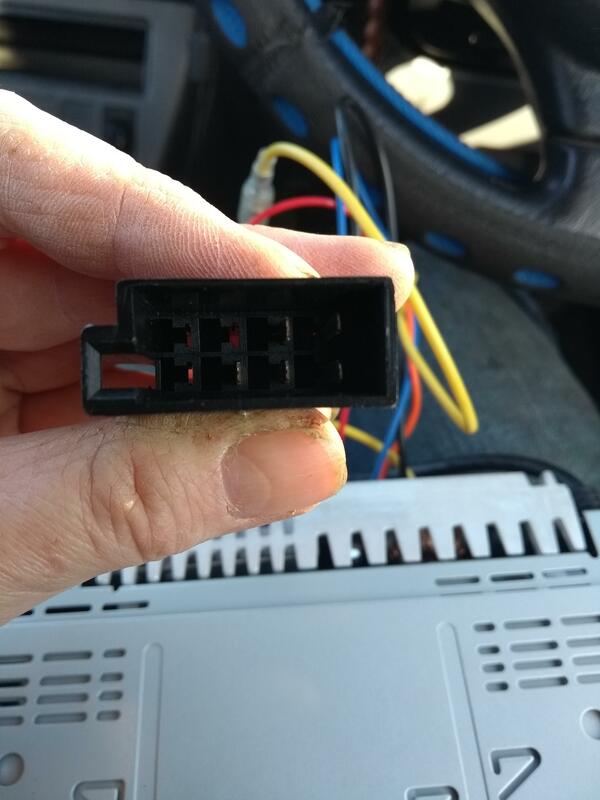 Please can someone help, I want to put an alpine stereo into my 1997 rav, the connections are not compatible, is it possible to buy some sort of adapters and what should I be looking for?? Hi Pam, the quick answer is... "Good luck with that then!" 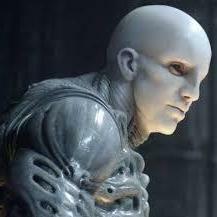 It's to hard for vehicle manufactuers and ICE (in Car Entertainment) manufactuers to make compatible plugs and sockets. 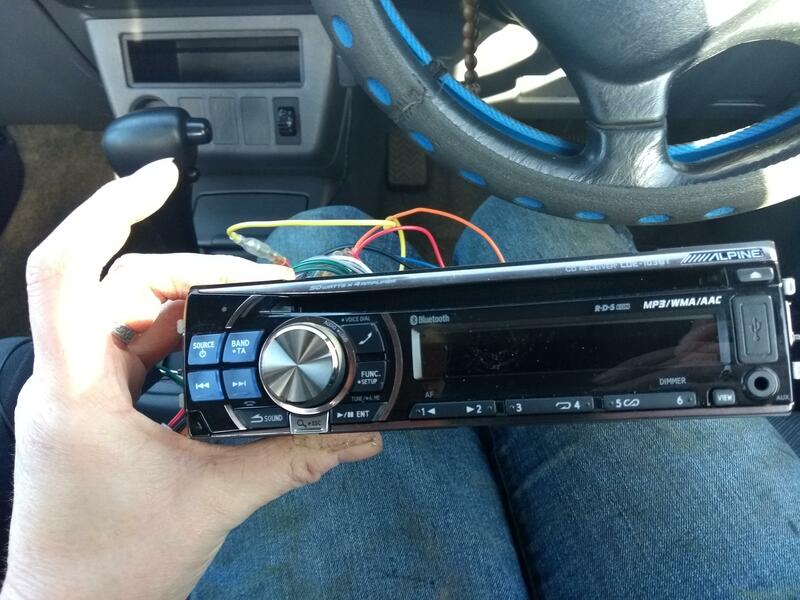 My 98 Rav4 has a bespoke 'Sanyo' radio/cd player factory fitted and obviously when Sanyo supplied Toyota with probably thousands of units the two banged there heads together and fitted compatible plugs and sockets. 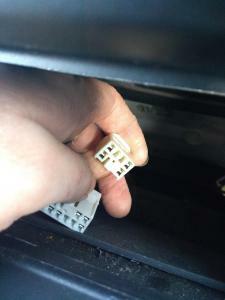 Their are supposed to be compatible ISO standard plugs/sockets... but in my experiance if you try and fit a third party stereo/radio to a car they never marry up. When I was in the ICE business I used to identify what the cables were from the stereo device (sometimes they print the cable functions on the stero cover and or owners manual); then identify the cables on the car sockets... with a volt meter and a small Battery (to excite the Speakers in the vehicle). Once you have identified all the connectors you can cut the incompatible plugs and sockets off and use block connector to make the connections... making sure you incorparate fuses etc. where required and then cover the blocks with insulating tape (I used 2" wide carpet tape). The other alternative... if that sounds to daunting, is to go to a local ICE installer and ask if they have any adaptors (don't hold your breath) or ask them to fit the device for you (probably your best option). Bear in mind if you get some of these connections wrong you could damage the stereo and or car electrics... and you certainly don't want to risk a vehicle electrical fire! That plug you are holding on the first picture should connect to the black one, on the right, for aerial. Or can you explain how you dont have radio? The picture is from Alpine CDE-103BT, which i believe is what you have. The picture is from Alpine CDE-103BT﻿, which i believe is what you have. Hi furtula The hole in the black connector on the back of my alpine is tiny compared to the aerial plug in the car, its got like a silver cap with a tiny hole in it. That looks promising!! Thanks philip42h will get one of those tomorrow and see if it does the trick, thanks to all for your help. The lead fits practically every Toyota. I have one from a previous installation. No cutting of the stereo or car wiring harness! 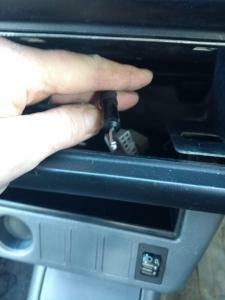 I just posted a much simpler and easier solution that has been around for years and I own the correct adaptor cable. 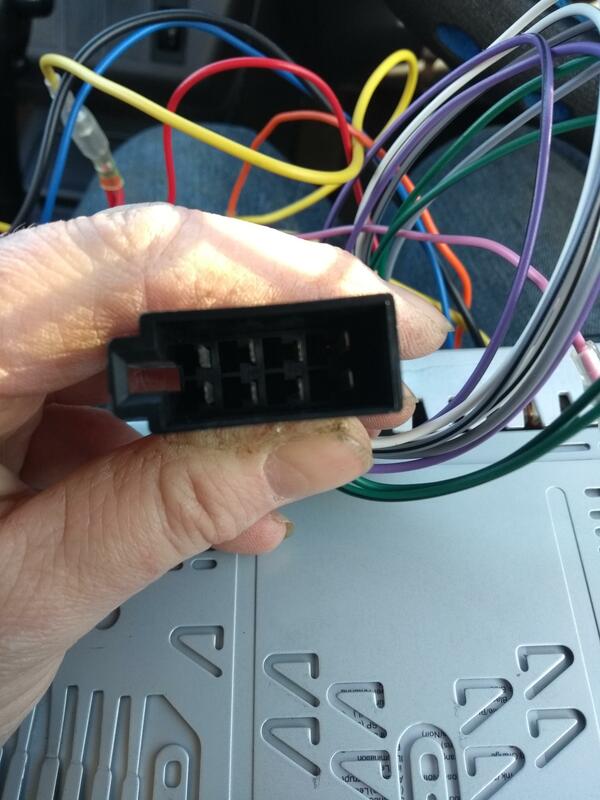 The cable is PC2-17-4 and connects Toyota to ISO. Not cutting is necessary. Cutting and splicing should only be used if there are no other options. 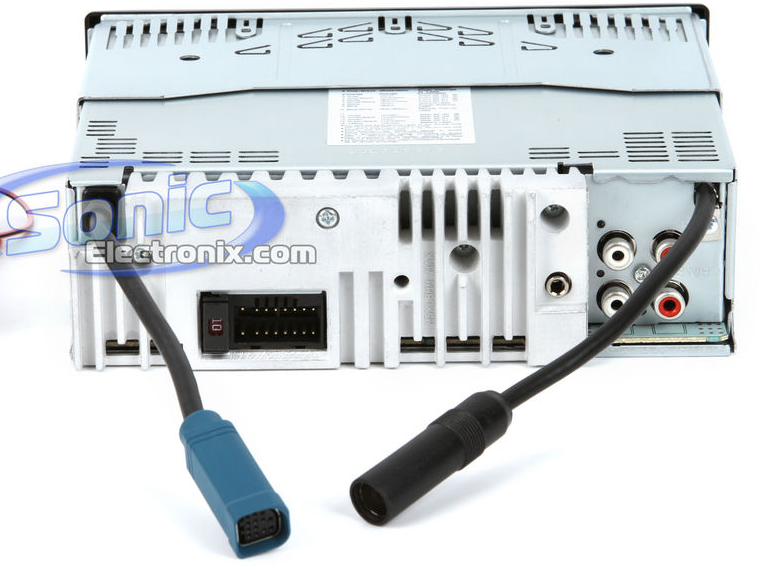 Google PC2-17-4 and Toyota to ISO connector and you should easily find what you are looking for. Search on Ebay. The cable is around £6. Do not let any person cut any cables. 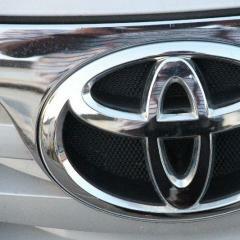 The is a suitable Toyota to ISO cable which I have detailed in a post to you. 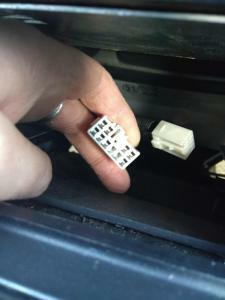 Hopefully you have got the correct Toyota to ISO adapter cable (PC2-17-4), which is quite cheap. Yes I remember the bad old days before adapter cables. Blown fuses, shorts, ruined brand new stereo, and the worse scenario, electrical fire! Now we are in the safer world of plug and play. 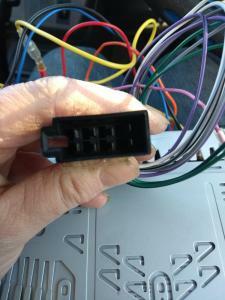 The other issue I have come across, is when it comes to replace an unnecessary spliced system! I have had to add ISO connectors to cut wires for future use. I think the OP was not aware of adapter cables, and how cheap and easy they are. That's why I put detailed info showing the adapter cable. Hopefully she is fully aware now.